0bjective: To evaluate the the safety and efficacy of the compression anastomosis clip (CAC) for gastrointestinal anastomosis. Method: From January 2006 to December 2007, 84 patients with distal gastric cancer undergoing distal gastrectomy were randomly divided into two groups for billroth II gastrointestinal anastomosis. There were 42 patients in each group. 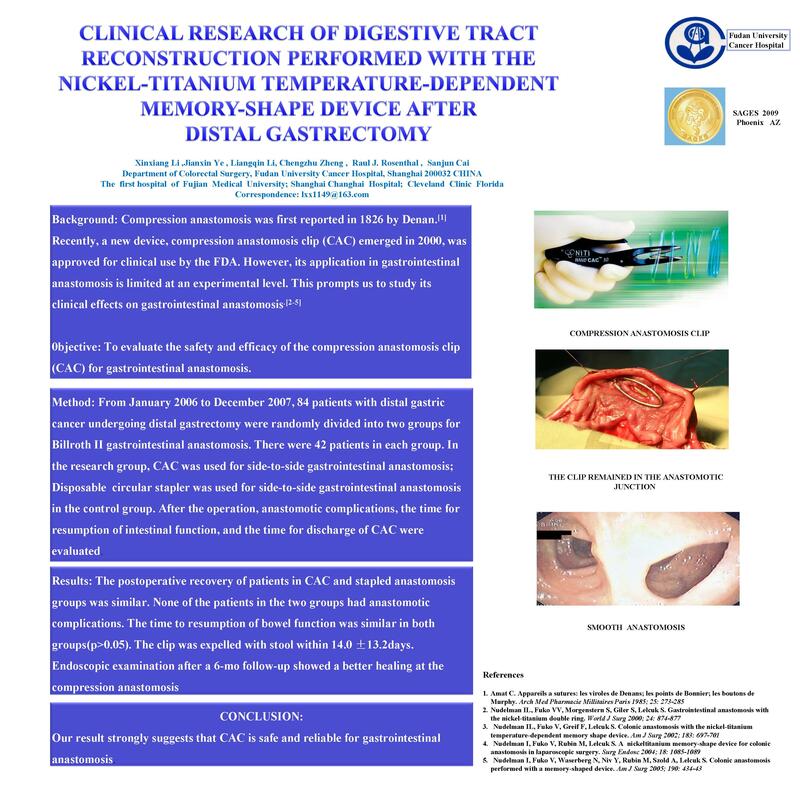 In the research group, CAC was used for side-to-side gastrointestinal anastomosis; Imported disposable metal tube-type stapler was used for side-to-side gastrointestinal anastomosis in the control group. After the operation, anastomotic complications, the time for resumption of intestinal function, and the time for discharge of CAC were evaluated. Conclusion: Our result strongly suggests that CAC is safe and reliable for gastrointestinal anastomosis.